With that in mind, make sure that your store is fully stocked for the upcoming holidays and summertime adventures. Memorial Day is quickly approaching followed closely by the 1st day of summer. Soon enough, kids will be done with school and family vacations to the beach and family BBQs will be in season. 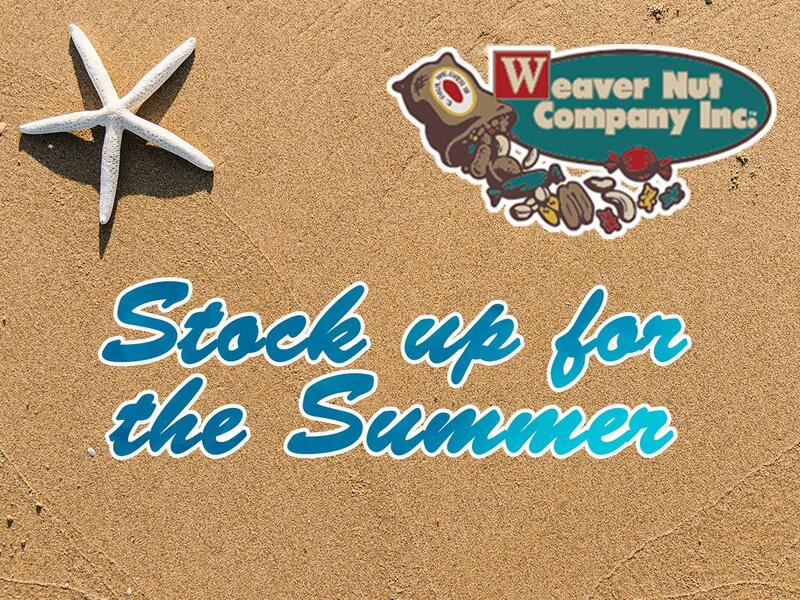 Let Weaver Nut Company help you stock your shelves for summer! Weaver Nut Company has a world of snacks to offer. 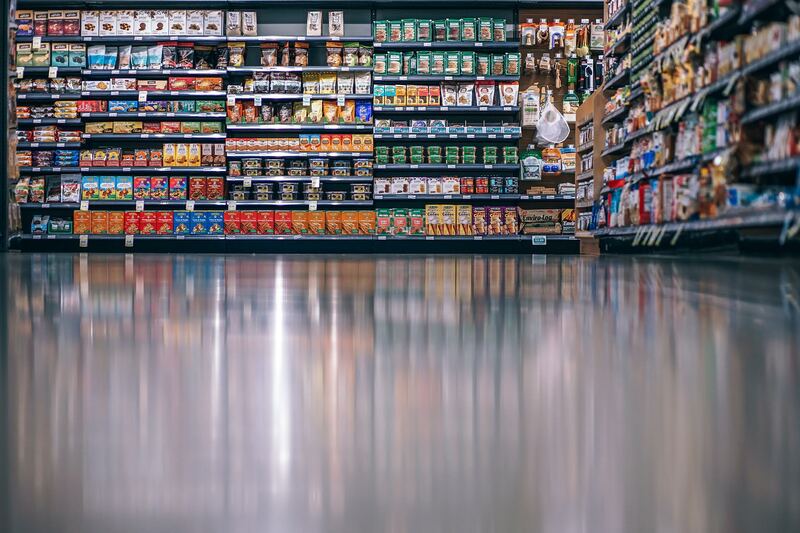 It is also a place where you can find an eye-popping display of hundreds of munchies, including our very own bulk trail mix and snack mix options, which are perfect for summer adventures on the hiking trails or poolside. These mixes are one of a kind- conceived of and mixed in our very own warehouse. We offer a little something for everyone in trail mix that is fruity, salty, sweet, or savory. Our snacks will wow you with their freshness and their flavor-packed punch. Looking for sweets? We have you covered! We have every sort of sweet that you can think of. Gummies of every imaginable shape, size and color? Check. Chocolate covered almonds, candy coated sunflower seeds or chocolate covered gummies? Check. Stick candy and other old fashioned candies from your childhood that you forgot even existed? Check. Crisp bars of creamy, luscious chocolate stuffed with equally luscious fillings? Check. Enough tantalizingly colorful candies to make you lose yourself in sugar heaven? Double check. The beautiful thing about buying candy in bulk is that we have the ability to provide you and your customers with an astonishing assortment of candy without the added cost. Our bulk candy is ideal for repackaging and retailing in any store, for candy tables at weddings and birthday parties. Remember that summertime brings back cookouts and relaxing by a fire pit and the yummy campfire favorites such as s'mores topped with melted chocolate and perfectly toasted marshmallows. Don't forget about chewy, salt water taffy and sour sanded gummies which are ideal for any outing. Weaver Nut Company, Inc. is an Importer & Distributor of Candies, Chocolates & Confections, Dried Fruits, Nuts, Coffees & Teas, Spices, Snacks and Bulk Foods from around the world. We ship to retail, mom & pop shops, farmer’s markets, jobbers, regional distributors, food service, restaurants, manufacturers, institutions and non-profits. We are a family run business since 1975. Our goal is to serve our customers as we would want to be served with quality, integrity, and enthusiasm!